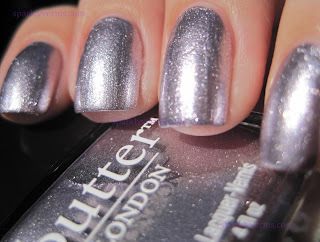 BONUS PICTURES - Butter London Lillibet's Jubilee with glitter! This is so pretty!! 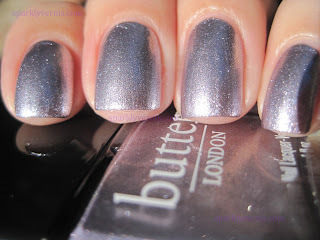 Love BL polishes! I see what you mean by smooth - it doesn't look bumpy at all! 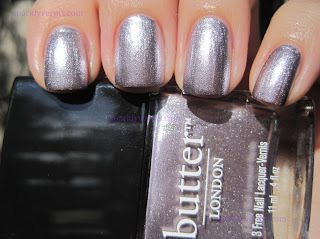 This might be a Butter London I actually need (as opposed to all the others I want, hahaha)! Ha ha :D Yes, this is a must have! 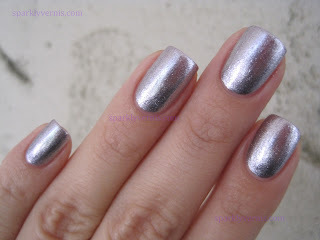 A good chrome/foil like this is HTF. Lovely foil! 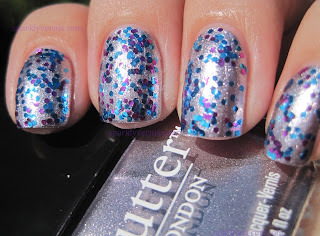 The glitter looks great on it! Thank you, good to know because I plan on wearing it a lot! LOVE! It looks fab on you! I have this on the way to me, I can't wait! Okay, beautiful! I'm running to get it now! Love it with the glitter on top!